Just 215 electric cars were bought under a Government scheme to encourage the take-up of green vehicles in its second three months of operation. This compares to 465 in the first three months. 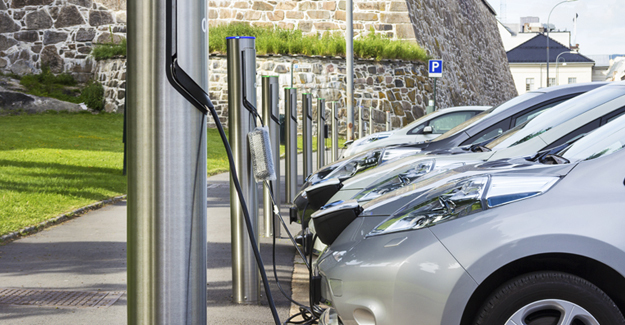 Under the Plug-In Car Grant scheme, which began on 1st January 2011, individuals and businesses have been able to apply for discounts of up to £5,000 on the purchase of cars producing 75 gCO2/km or less. Taking into account all 680 cars purchased under the programme, there are currently less than 2,500 electric cars registered in the UK out of a car fleet of 28 million. The figures show just how difficult it will be to get UK motorists to own and drive the greenest cars available on the market and so cut the carbon emissions. If all 680 cars were bought using the maximum £5,000 grant then £3,400,000 would have been spent on subsidies by the Government out of a total of £43 million which has been put aside until the end of March 2012. “The RAC Foundation backs this scheme, but the figures show the mountain we have to climb if the national car fleet of 28 million vehicles is to turn truly green. Even with the grants, electric cars are still much more expensive than similar-sized petrol and diesel models. “Despite the lower fuel costs associated with electric cars, the high purchase price means it will take owners several years to reap the financial benefits of not choosing fossil-fuel powered vehicles. In the short term motorists will have to think long and hard about whether electric cars give better value for money than the best conventional and hybrid models. “There are three big questions for the future. Will the cost of EVs come down? How long will batteries last? And what will happen to petrol and diesel prices? The sums are going to change significantly but no one can be sure how. Add depreciation to the equation and you see the economics of green motoring is a grey area. “It will be interesting to see how Renault’s plan to lease electric vehicle batteries to consumers rather than sell them will take off. Certainly it will reduce the upfront costs. Amongst the vehicles eligible for purchase under the scheme are the Nissan Leaf (£25,990 after the grant) and the Mitsubishi i-MiEV (£23,990 after the grant). As of the end of 2010 there were just 1,500 electric cars registered in the UK compared with 81,000 hybrids and 28 million petrol and diesel cars. The £43 million set aside up to the end of March 2012 is part of £300 million which has been earmarked for the scheme up to the end of the current parliament.